For the first three and a half years of Movement Media’s existence, our offices were housed in a community center on Mount Pleasant Street in NW Washington, DC. The center, named La Casa, was run by Community of Christ, a lay-led, grassroots Lutheran congregation who ran the center as part of their mission. Under that mission, they sought to provide affordable office space to non-profit and activist organizations in DC. I’d rented their multi-purpose room for benefit concerts and activist meetings on the regular since the late 90’s, but when Movement Media began, their provision of office space was a lifeline for helping us establish our business. They rented us our first office space from 2013-2017 but more than that, they provided us a home and a community, as soil to grow roots in. Bob Pohlman was our contact at Community of Christ, in effect, our landlord. He was accountable, responsible, and true to his word. Rare qualities in a landlord. And more, he was a lifelong activist. La Casa was a community institution, and Bob was central to it. Last year, Community of Christ sold La Casa, we moved offices, and I fell out of touch with Bob. I was sad to hear of his passing last week. 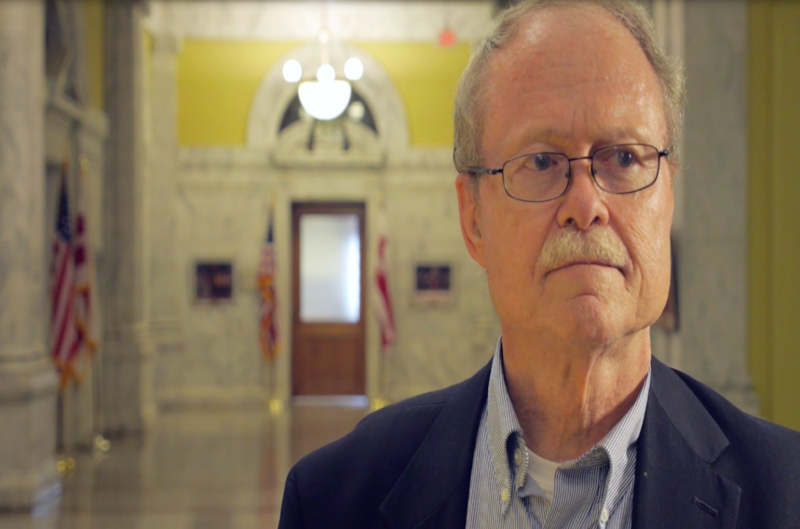 Movement Media recently made a donation in his memory to the organization he ran for 15 years, Coalition for Non-Profit Housing and Economic Development (CNHED), more about their work in the embedded video below. Thanks, Bob, for all you did, for us and for the world.